Take your pick and press play! (SPOT.ph) Gone are the days when Korea was just something we learned about in class. Thanks to seat sales and social media, their fascinating culture has become more accessible to everyone who just can’t get enough of all things Korean. From K-beauty products to K-drama, there’s really no stopping the Korean craze from taking over the Metro. If you’re thinking about going to Korea but can’t hop on a plane just yet, here are some snacks that will give you a taste of that all-around K-goodness…without having to leave your couch. If Pinoys have puto and kutsinta, Koreans have jeolpyeon—cakes made from steamed rice flour that is pounded into a dough. Jeolpyeon are usually stamped with designs like cartwheels, flowers, and characters from the Korean alphabet. These sticky cakes come in flavors like red ginseng and mixed vegetables, and are traditionally brushed with sesame oil before serving. Just the kind of snack your favorite oppa probably enjoyed as a kid. When your tears won’t stop falling because the couple you were rooting for still don’t end up together, there’s nothing like ice cream to make you feel like you’re mourning with those star-crossed lovers. 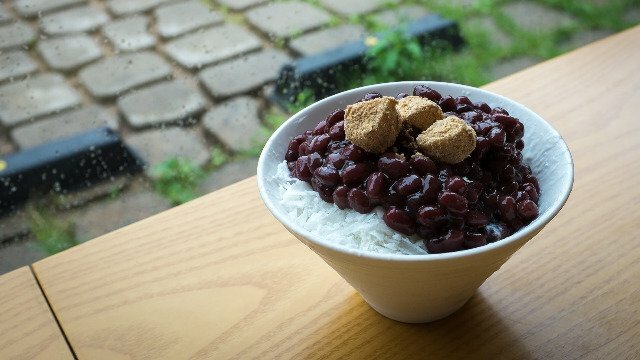 Even better: a bowl of refreshing patbingsu—shaved ice topped with sweetened beans, rice cakes, and ice cream—is sure to make you feel whole again. The comfort that comes from chocolate never fails, and it can be just what you need when you’re binge-watching your favorite series (or you know, just singing along with those K-pop tunes). Bite into that chocolate-covered sandwich and savor the marshmallow fluff for a quick dessert fix. 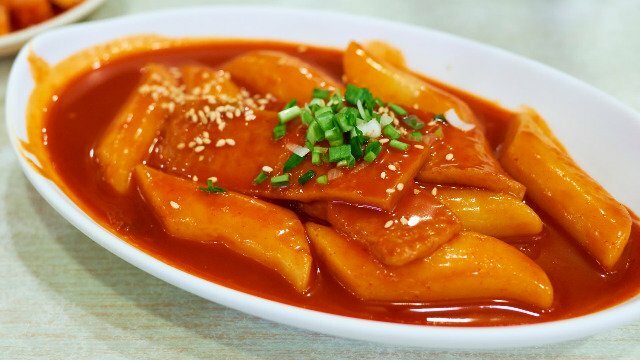 If your Korean show of choice has made you want to go on a food crawl, you might want to get your hands on some Korean rice cake, a popular street food in the region. It’s delicious enough to eat on its own, but it’s a definite winner with a steaming bowl of ramen. Grab that ice cold beer and you have Korean-style pulutan! Just when you think you’ve had every snack variant on the planet, here comes a new flavor that’s become an instant favorite in Korea. It’s that unexpected creamy butter and sweet honey combination that will hit you when you dig into the new Jack ‘n Jill Calbee HONEY BUTTER Potato Chips, the first premium natural potato chip brand to deliver this balance of tastes with one bite. You don’t have to travel too far to get this snack, because it’s now available in the Philippines! 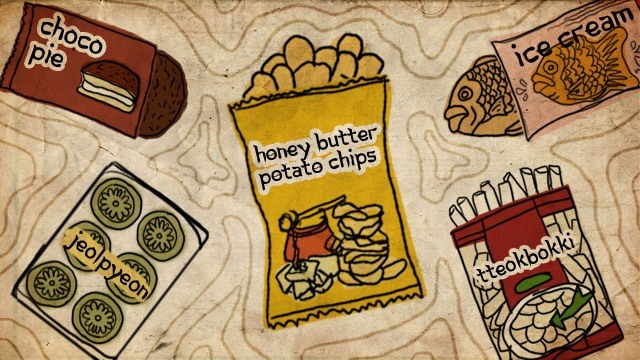 Want to know why Koreans are buzzing about Calbee’s HONEY BUTTER Potato Chips? Just grab a bag (or more!) to find out. For more information, log on to Jack ‘n Jill Calbee’s Facebook page. This article was created by Summit Storylabs in partnership with Calbee.